ABS brakes, Compass, Electronic Stability Control, Heated door mirrors, Illuminated entry, Low tire pressure warning, Remote keyless entry, Traction control. Clean CARFAX. 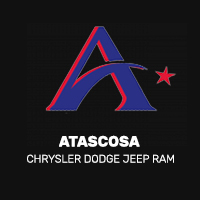 2015 Ram 1500 White Lone Star EcoDiesel 3.0L V6 Reviews: * Massive interior room; low step-in height; available fuel-efficient diesel engine. Source: Edmunds Awards: * Green Car Journal 2015 Green Truck of the Year * 2015 KBB.com 15 Best Family Cars Based on 2017 EPA mileage ratings. Use for comparison purposes only. Your mileage will vary depending on how you drive and maintain your vehicle, driving conditions and other factors. ABS brakes, Compass, Electronic Stability Control, Heated door mirrors, Illuminated entry, Low tire pressure warning, Remote keyless entry, Traction control. Odometer is 8989 miles below market average! CARFAX One-Owner. Clean CARFAX. 2017 Ram 1500 Bright White Clearcoat Lone Star EcoDiesel 3.0L V6 4WD 19/27 City/Highway MPG 8-Speed Automatic Just South of High Prices! 2017 Ram 3500 Bright Silver Metallic Clearcoat Tradesman Cummins 6.7L I6 Turbodiesel 4WD 6-Speed Just South of High Prices! Blue Streak Pearlcoat 2015 Ram 2500 **4 WHEEL DRIVE**, **LEATHER SEATS**, **HEATED LEATHER SEATING**, **TURN BY TURN NAVIGATION**, **REAR VIEW BACK UP CAMERA**, GPS Navigation, Remote Start System. CARFAX One-Owner. Clean CARFAX. 2018 Ram 2500 Bright White Tradesman Cummins 6.7L I6 Turbodiesel 4WD 6-Speed Just South of High Prices! Bright White Clearcoat 2016 Ram 2500 ABS brakes, Compass, Electronic Stability Control, Heated door mirrors, Illuminated entry, Low tire pressure warning, Remote keyless entry, Traction control. Odometer is 3387 miles below market average! Odometer is 6100 miles below market average! Clean CARFAX. 2018 Ram 1500 Gray Rebel HEMI 5.7L V8 Multi Displacement VVT 4WD 8-Speed Automatic Just South of High Prices!